We are leading supplier & distributors ofFlamephoto Meter to our clients. 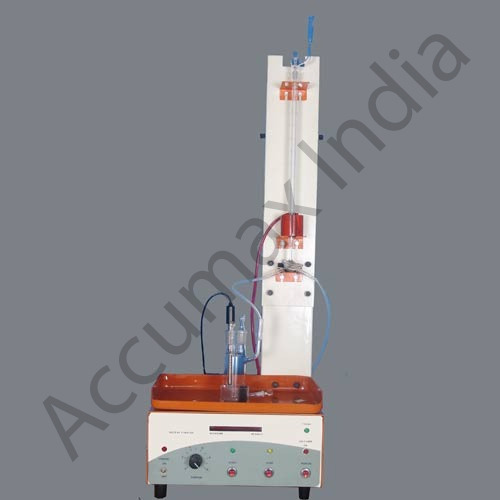 We, Accumax India take pride in introducing ourselves as one of the well established organizations, engaged in catering to the requirements of our clients for a wide range of scientific and research equipment. Engaged into the manufacture of incubator, oven, bath, heating plate, autoclave, mill, water distillation, stirrer and meters. We are committed to deliver them at the final destination within a desired frame of time. Backed by a well qualified staff, we offer prompt and efficient after-sale services so as to keep the downtime to bare minimum and to ensure that the equipment are in their good working condition. Ensuring continual improvement in our range of products, we strive for uncompromising quality so as to meet with the client's satisfaction. Today, we are one of the prime suppliers for a range of scientific and research instruments and equipment because of our pioneering vision and keen business acumen.